#TravelHack was an incredible success – more than 80 people helped write Transport for the North’s data strategy in a single day in June. It had such a volume of output that it needed two blog posts to cover it all – you can read part 1 and read part 2 here. #TravelHack generated a lot of conversation and debate, and there was an obvious desire to keep the momentum going and explore transport data and solutions further. Paul Connell, founder of ODI Leeds, has been working with engaged organisations like Highways England and the Department for Transport, alongside Transport for the North, to work out what happens next. 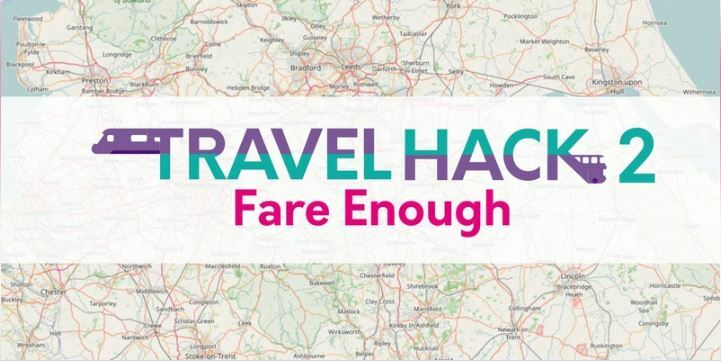 With a working title of #TravelHack2 – Fare Enough, the event is focused on the presentation of fare information to customers, expanding on the ideas and explorations from #TravelHack. Bus fares have been a thorny issue for some time, with competing operators having vastly different pricing structures and ticket types. This is confusing enough for operators and service providers, let alone customers. There is no currently no national data standard for fares in the UK. The Bus Services Act should help with this, but in the meantime, TfN have a vision to create a fares dataset for the North. This can then be used by local authorities, transport operators, app developers and anyone else that wants to present fare information to customers. Join us on 10 October 2017 (09:00 – 17:00) at ODI Leeds. We will have some fare data in various formats and work through how to make fares easier for customers, how to make that data available for all (and keep it maintained), and start building prototypes that will help that all happen. Check back for updates, such as running order, speakers, collaborative hackpads, and more.